The greatest characters start out life insignificant, and although my life has not seemed as extraordinary to me, it appears my life has affected those around me profoundly. How can I have such an effect on so many people, when I all I have ever done in my lifetime is live? I know my story is a bit different than most, but it is just my life. Let me start at the beginning. 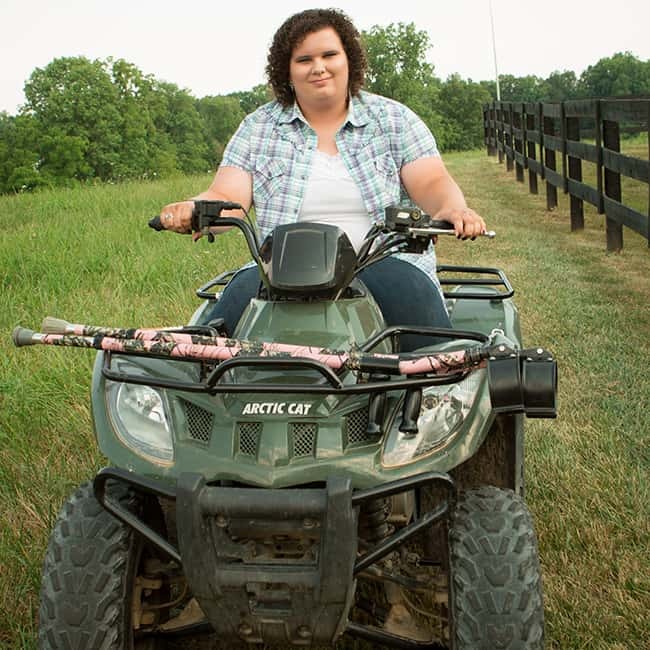 I was born July 1, 1996 at the hospital in Pikeville, Kentucky. My parents divorced shortly after I was born, but remarried when I was a few months old. My brother was going to turn five years old the coming December. Nothing quite as extraordinary about me then; however, nine months after I was born something was going to happen that would change the future for me and my family. One day in April 1997, everything seemed as if it was just another day. My parents went shopping for a double wide trailer since we were moving from Pike County to Pulaski County, Kentucky. My grandmother was babysitting me, and I am not sure where my brother was; although, I am pretty sure he was either being his goofy self or watching me since he had just become a proud big brother to a little sister who had not had the chance yet to annoy the tar out of him. This day was not like any other day, if I remember the story correctly since I was still an infant. As the day progressed I developed a high fever, and like any loving grandmother would do, mine panicked slightly and called my parents. They took me to the hospital, where I was diagnosed with RSV; this is where everything started to change, and with me not knowing much of what was going on. I recovered from it, but things weren’t as they used to be. At nine months old, I was saying a few words, and crawling faster than some of my family could walk. However, that all changed after I got RSV. After I recovered from my RSV, I wasn’t able to sit up anymore, and my crawl changed into a military style crawl. Like most parents, mine were concerned and took me to the doctor. He claimed that I was just a lazy baby, but he unwittingly set my mother’s temper off and (to put it nicely) she argued with him until he finally gave in and sent me to different doctors. When I was 18 months old, we went to Baltimore, Maryland to Johns Hopkins Hospital. There, I was diagnosed with Transverse Myelitis. TM has different levels, and I was fortunate (though some may say unfortunate, but I tend to see things differently as you shall see) enough to just be paralyzed from the waist down. Most people would classify me as a crippled or handicapped person. My life since then has not been like my peers’ lives have been, but it seems to me that it gave me a unique perspective on life. Even with that upside, there are still some parts of my life that have been difficult, but to me those difficulties are just an obstacle to overcome. I attend college at Asbury University where I am a double major in equine studies and psychology. 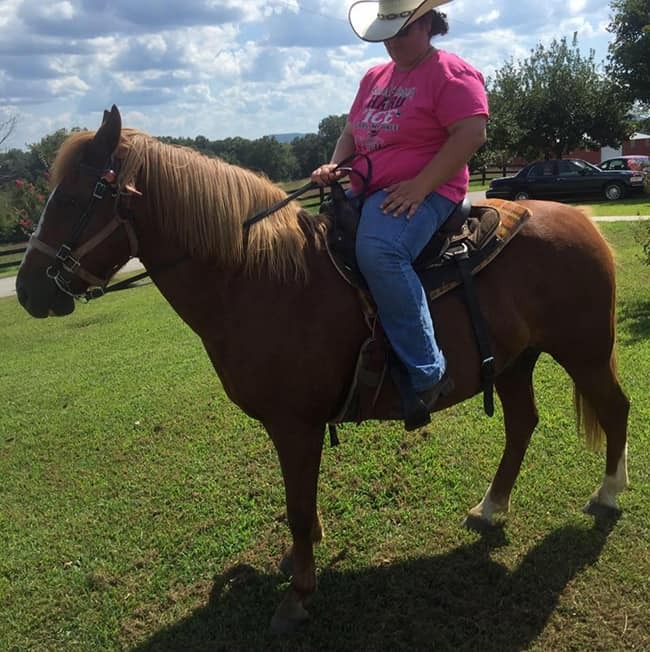 I ride horses, I drive my GMC Sierra with hand controls, I am able to walk a little bit without using my crutches, I use an electric wheelchair to get around campus, and I have two amazing things that make life great; a horse named Blaze and a service dog named Archer.